I am a young doctor working in Western Sydney, and have been concerned about climate change and the impacts of environmental destruction on human health for several years. I have come to believe that all of us must play our part in mitigating the threats of climate change, which is widely regarded as the biggest public health threat of our times. As doctors, if we aren’t advocating for public health then who is? I, for one, want to tell future generations that I did as much as I could to give them a safe, sustainable biodiverse world. As a member of Doctors for the Environment Australia over the last few years, I have had the privilege of speaking to community groups in Armidale, Werris Creek and Sydney about coal, climate change and health while working on submissions and policy documents. 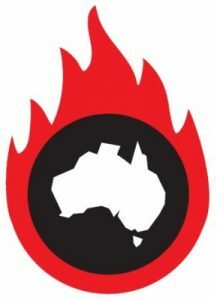 From heatwaves, those silent killers in Australia, to the trauma and destruction of extreme weather events, to the mental health impacts of drought in rural Australia, to the increase in malnutrition and communicable diseases in developing countries – the list of documented health impacts of climate change goes on. The basic undeniable determinants of health: clean air, clean water, food security, a stable climate, are being systematically undermined by human activity, most importantly the burning of fossil fuels. There is a dangerous disconnect between the scientific consensus evidence – reams of Intergovernmental Panel on Climate Change (IPCC) documents, Climate Council summaries, World Bank, United Nations and World Health Organisation reports – and any real change in policy or practice in Australia. Anyone who has even a basic understanding of what needs to be done about climate change to keep within the two degree ‘safe limit’ is, I’m sure, as frustrated as I am when we see yet another coal mine approved in the Liverpool Plains, the Galilee Basin coal plans, and the Abbot Point coal port expansion in Queensland. It is distressing for me to see the level of government ignorance and political chicanery. As doctors, the time for action is here. This is not the time to debate the evidence on climate change, whether it’s real or whether human activity has caused it – 97 per cent consensus amongst climate scientists should be enough for those of us who pride ourselves on evidence-based medicine. Just as we take on the recommendations of experts in other medical specialities, we need to be also taking on the recommendations of experts in climate science, who tell us that 80 per cent of fossil fuel reserves must remain in the ground to have a good chance of averting the worst impacts of anthropogenic climate change. Although we as a global society are blindly continuing business-as-usual and barrelling down the IPCC‘s worst case predictions pathway, I still hope that enough momentum can be mobilised to change our course of history. I would love to imagine a world for my future grandchildren where we have successfully transitioned to a sustainable renewable energy society, where we our wild places are protected and we have managed to avert the worst case scenario of climate change predictions. I’m greatly heartened by the actions of Doctors for the Environment Australia who recently put out call for action on climate change for the children of today- a call for intergenerational justice. We have also seen leadership by the president of the Australia Medical Association Brian Owler, who has strongly voiced his concern on the health effects of climate change; the Royal Australasian College of Physicians (RACP)- Australasia’s largest specialist medical college, representing more than 21 000 physicians, paediatricians, and trainees in Australia and New Zealand – which earlier this year divested from fossil fuels and the British Medical Association which pledged in 2014 to divest from fossil fuels. However, overall we doctors could step up much more, and really take ownership of this as a public health issue that requires urgent widespread action. If this were an emerging global infectious disease, doctors would be on the forefront of the issue – and climate change, although different, is no less of a public health concern. The size of the issue and also the competing demands on busy clinicians’ time can sometimes act as barriers for action. However we have seen formidable leadership by Australian doctors on other public health issues such as tobacco, and as a result Australia is a world leader in tobacco control policy and over $1 billion dollars in superannuation funds have been divested from tobacco on health grounds. We have a unique opportunity as respected members of society, skilled in communication and engaging with all kinds of people, to be true public health advocates and push for effective action on climate change. The type of transformation that we are calling for does not mean we regress back to candles and horse-drawn carts. There is immense opportunity in a world that is powered by renewable energy, with substantial health co-benefits to gain as well. Improving air quality by reducing the burning of fossil fuels has been associated with measurable reductions in cardiovascular and respiratory disease, and encouraging more active transport would not only reduce emissions from cars but also help to counter Australia’s obesity epidemic. So what can doctors do? Plenty. We can divest our money from fossil fuels; we can raise awareness of climate change as a public health issue amongst our colleagues and our patients; we can support communities transitioning to renewables and support those opposing fossil fuel expansion; we can do research and add to the growing body of evidence; we can prepare health systems for climate change and help affected communities adapt to changes; we can look at the health sector and transform it and make it more sustainable from the inside out; we can push politicians to develop ambitious greenhouse emissions reduction targets ahead of the Paris meeting later this year; we can use our representative organisations like the AMA and the royal colleges to put pressure on policy makers. And, most importantly, we can work together as a profession to set an example to others, to our bickering and point scoring political leader and to all countries and peoples- for on climate change, we all sink or swim together.